What is so special about the Cosmolux lamp range? 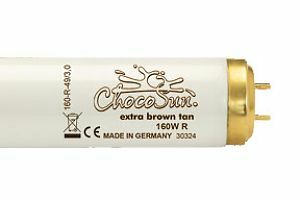 High immediate tanning effect, long-lasting deep tan and shorter tanning times. In addition, there is also a longer-than-average useful service life and only a slight decrease in UV capacity relative to the period of use. Poznati nemački proizvodjač COSMEDICO je na tržište izašao sa novom UV lampom za solarijume koju su nazvali CHOCO SUN. Prvi testovi su potvrdili da je ovo najbolja lampa iz Choco programa koja se može naći na svetskom trzištu kako po kvalitetu sunčanja tako i po kvalitetu izrade uz veoma prihvatljive cene. 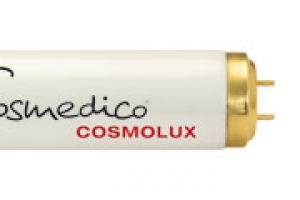 What is so special about the Cosmosun lamp range? A consistently sophisticated lamp range for all tanning needs and in almost every desired wattage. 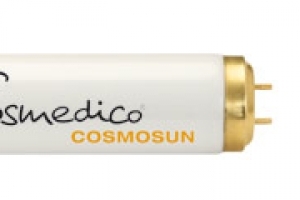 Cosmosun delivers great tanning results at medium to short tanning times and a useful service life of up to 600 hours with a largely constant UV output.